This lesson was originally released in October, so in lesson 3, Alba tells Mark about a Halloween party she attended. They discuss the traditions of Halloween. In the intermedio, José provides two alternative ways to say that you’re tired. Grammar points include reflexive verbs in different tenses, the subjunctive after quizás. 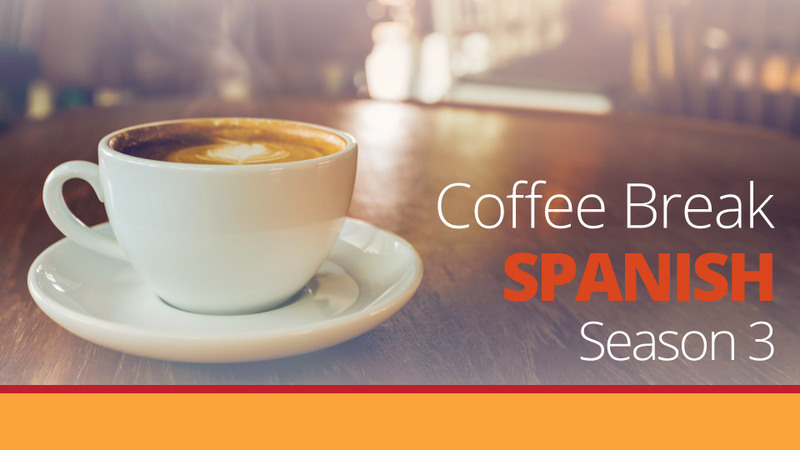 Not the most seasonal of lessons, but lots of interesting Spanish! 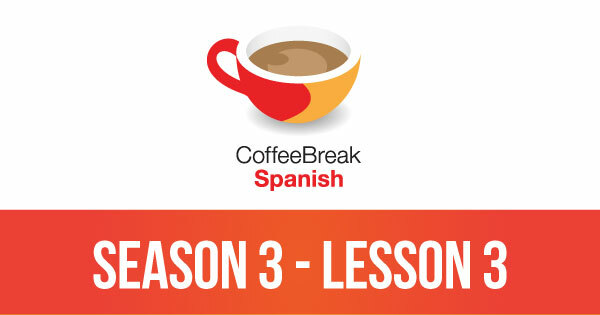 Please note that lesson 3 of Season 3 was originally known as lesson 303 of Coffee Break Spanish. We have renumbered the lessons of each season as lessons 1-40 to make things more simple for our listeners. Esto es nuy bien! Gracias a todos! Wowzers! This lesson was MUY BIEN!!!!! Brian! I haven’t seen you in so long! Cuando es necesario decir se me olvido una cosa. Mi compañera y yo estuvimos hablando sobre la regla para el verbo Olvidarse… y no lo entendemos muy bien. ¿Me puede explicarla?